two independent relays, rated at 30VDC/1A. 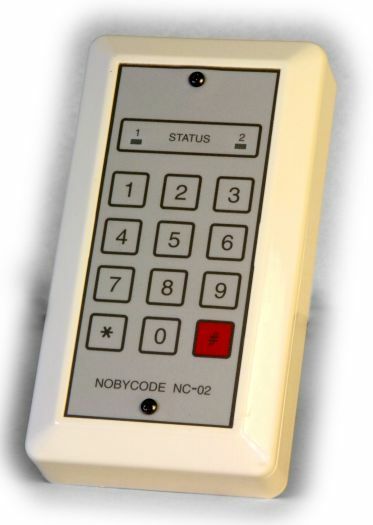 The Nobycode NC-02 is a versatile code entry keypad, with 50 programmable codes. 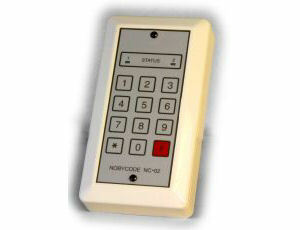 for any switch application that requires secured user operation. Two outputs can be used to offer external LED indication of operating status and a switch output can be connected to a host intruder alarm control panel to trigger an alert in case of tamper.